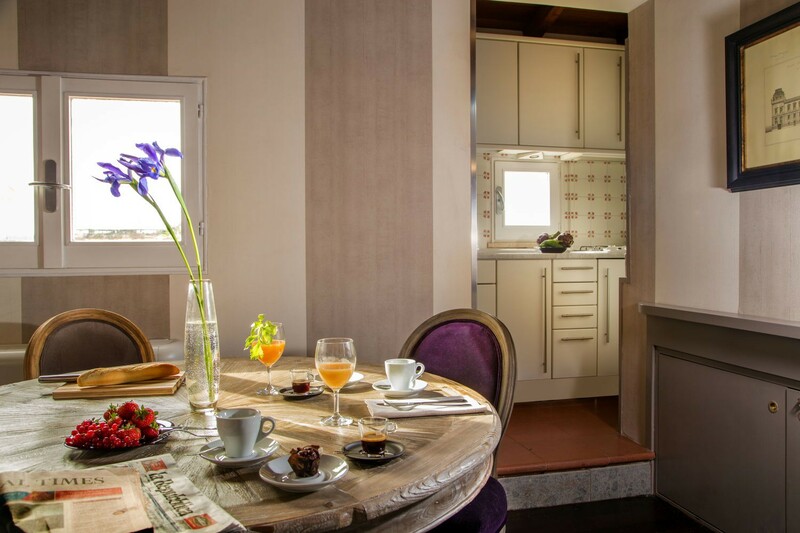 Located at the 5th floor of a historical building in the heart of the eternal city, Attico is an intimate and cozy apartment consisting of a master bedroom and a sofa bed, a kitchenette and a bathroom with shower. 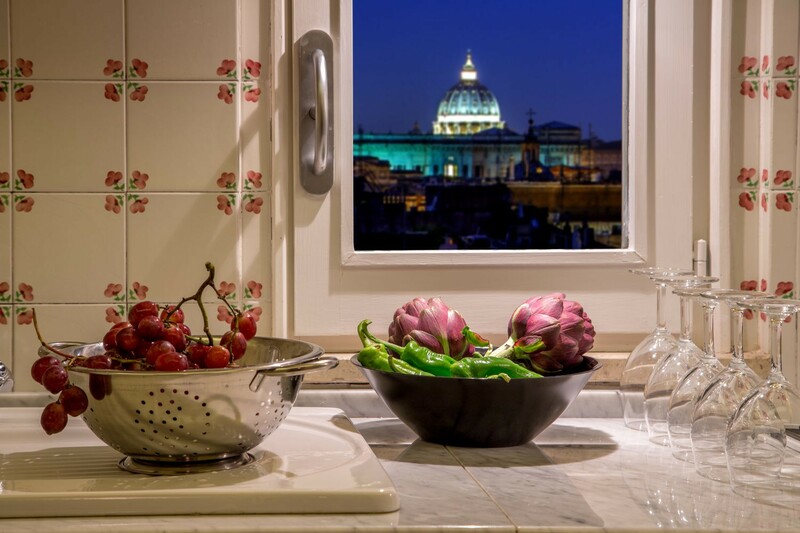 The apartment boasts a comfortable dining and living room with a panoramic window as well as a private terrace offering breath taking views on the Spanish Steps, one of the most famous landmarks of Italy. 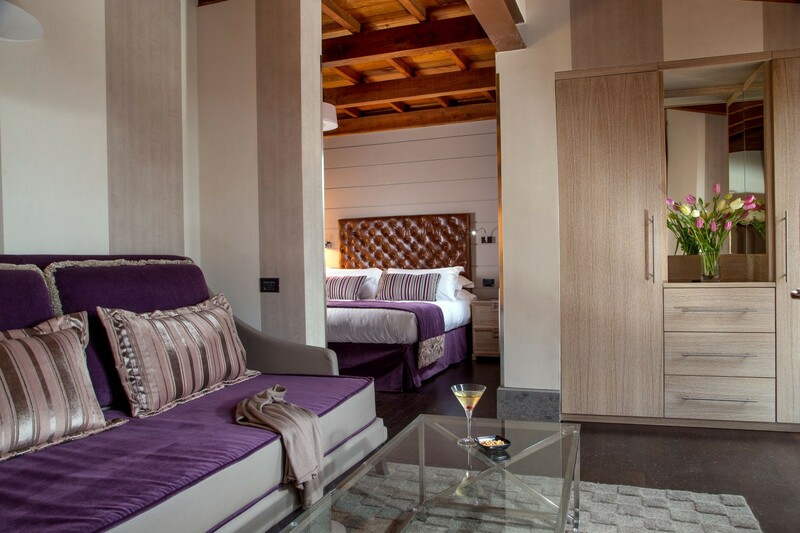 Attico offers the privilege to its guests of enjoying an exclusive and private retreat within walking distance of the highlights of the city. 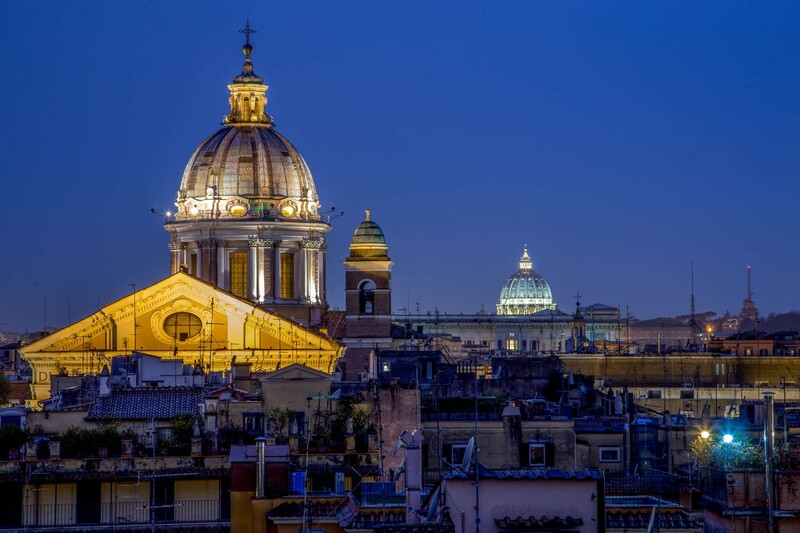 It is located in one of Rome’s most enviable historical, cultural and artistic spots, few steps away from the most photographed steps of the world. 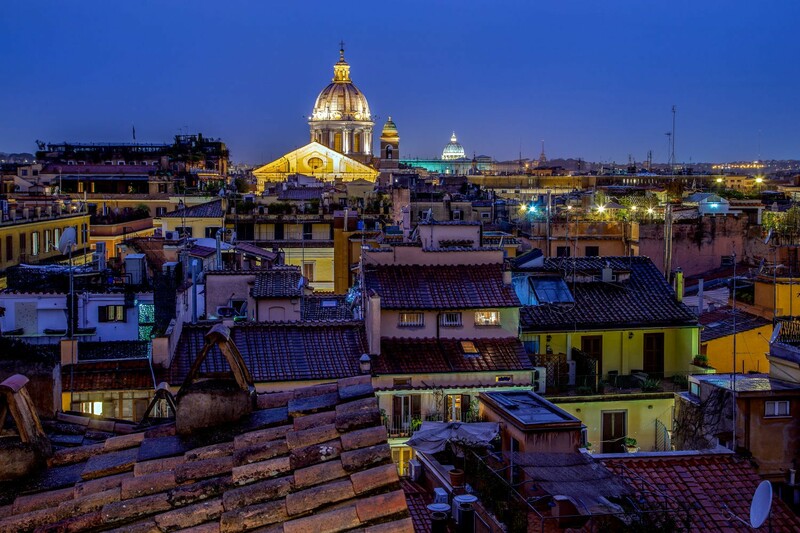 Famous monuments such as the Pantheon, the Trevi fountain are also in the neighbourhood. 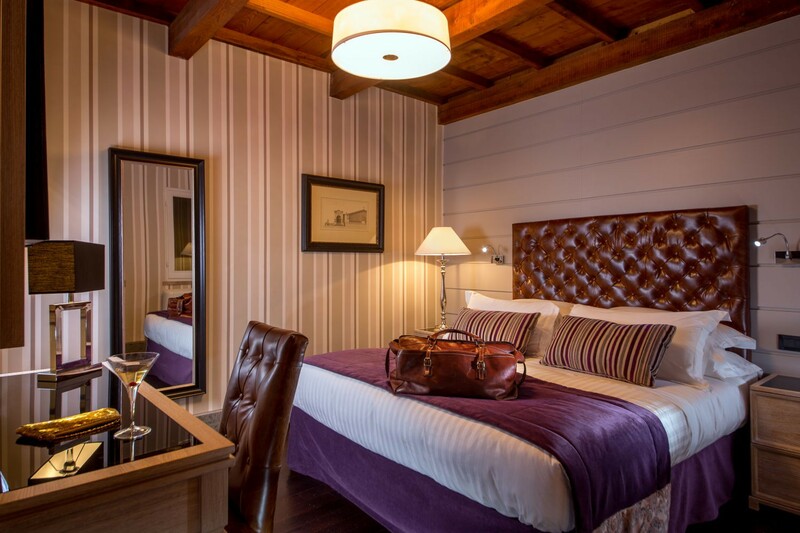 The building is fully renovated with all modern comforts such as air conditioning, wifi internet, but at the same time it keeps the authenticity and the essence of the past with its period décor. bedroom 1: double bedroom with queen size bed (bed size 160cmx200cm) and a sofa bed. 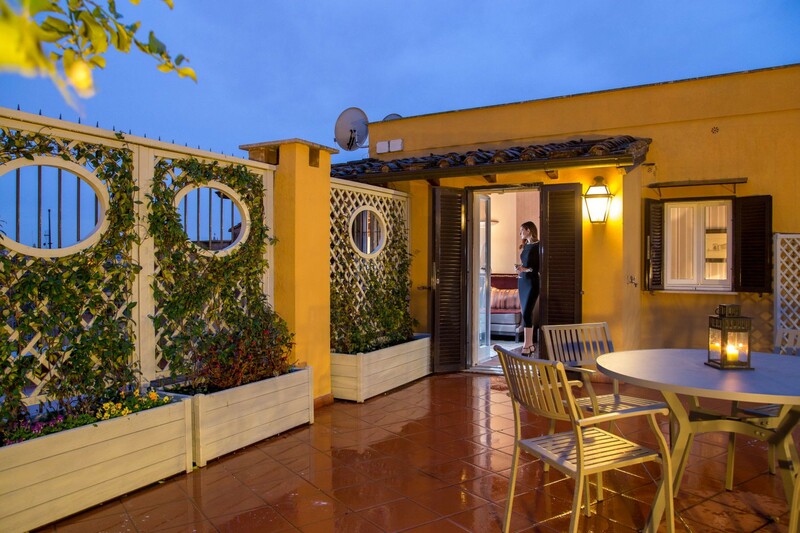 private terrace with exclusive view of the Spanish Steps equipped with table and chairs for al fresco dining. few steps away from Via dei Condotti the famous luxury shopping street in Rome, public transportation by metro or bus is just seconds away. 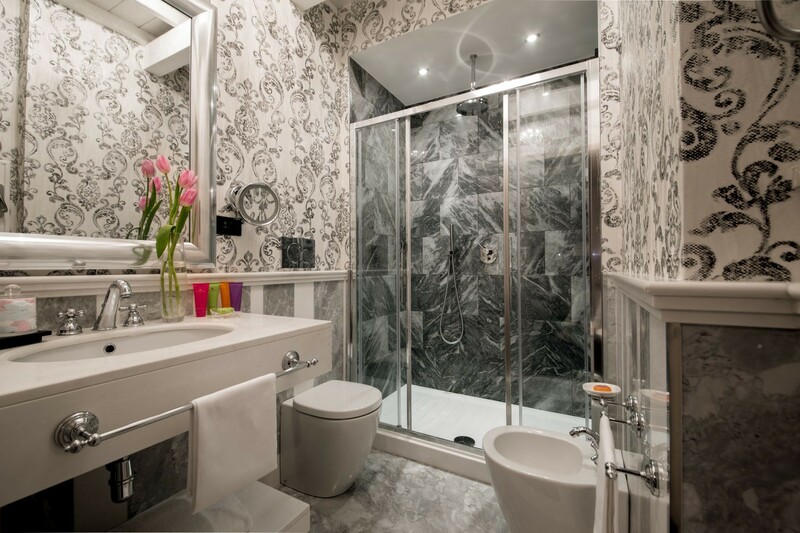 Grocery shops, supermarket, coffee shops, banks, nice trattorias and restaurants, nearby attractions in the area. buffet breakfast included in the rental rate is served in a separate building. Concierge service, daily maid service including change of linen and towels, air conditioning, final cleaning, heating, buffet breakfast served in the hotel situated next door. 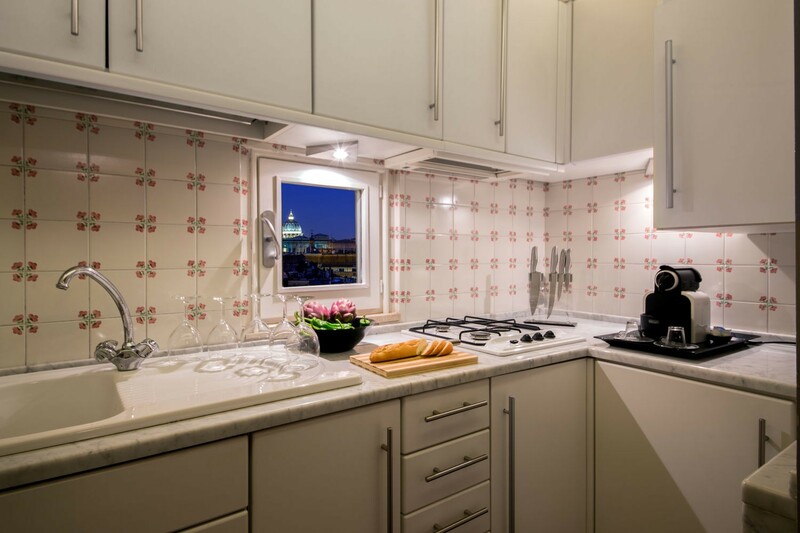 close by are some of the most famous monuments, squares and streets of Rome such as Piazza di Spagna, Piazza del Popolo, Via del Corso, the Trevi Fountain, the Pantheon, Piazza Venezia, the Capitol, the Roman Forum, the Colosseum, Villa Borghese.